Come learn to draw botanical subjects from nature observation! Hoyt Arboretum’s Botanical Illustration workshop covers topics of plant anatomy and tricks for drawing flora realistically. This class is great for beginners and intermediates and for anyone interested in drawing basics, nature and science. 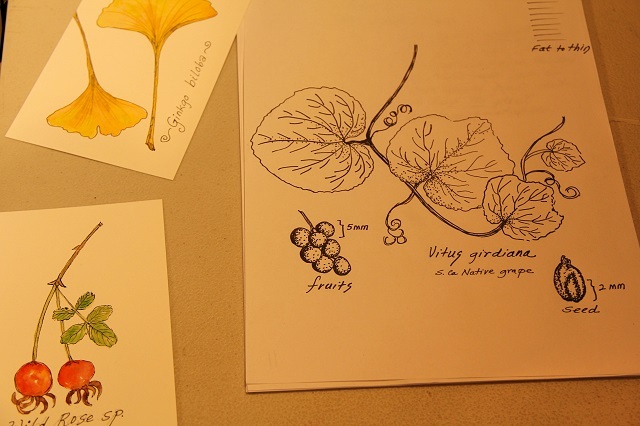 Students will practice their new skills by creating botanical illustrated greeting cards. Workshop is taught by local artist and arborist Ruth Williams. About the instructor: Ruth Williams is a consulting arborist and plant enthusiast with degrees in Horticulture and Landscape Architecture from UC Davis. She has been drawing and painting plants for 17 years. She teaches botanical illustration and dormant plant ID at Hoyt. Class size is limited to 12 participants; registration is required. Recommended for ages 15 and up. $20/member, $25/non-member. Register using the form below, or call (503) 823-1649. There are no refunds for cancellations within two weeks of the class date.